Beautiful pens. I’m slowly building a collection myself. Have you done much with repairing pens? Loren, I am capable of some basic repairs, but would not presume to proficiency at a more than minimal level. 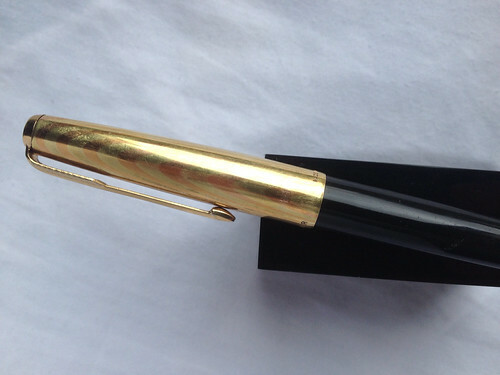 Every now and then I dream idly of apprenticing myself to a pen repair craftsman…. I’ve mainly dealt with Parker Pens, but haven’t come across too many Sheaffers myself. I’m stiff fairly new to the world of fine pens. In your opinion, what in particular put them above Parkers in your book? I don’t think Sheaffers are better so much as I like them more. I like the flat-tops; I like the Balances; I like those beautiful Triumph nibs. That being said, the Snorkel and their plunger-fillers are extremely fiddly filling systems. I haven’t dealt with a Parker Vacumatic, but the Aerometric fillers are nice and simple, and I appreciate that greatly. And I do own, and like, my Parkers (61, 51, 50, 21, 17, and a couple of English Duofolds).